How To Keep Your Car Windows Safe -Hail Storms. 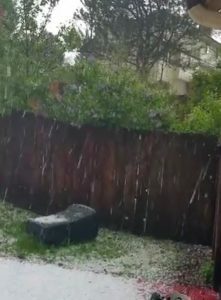 Hail is no laughing matter, especially when it comes to auto glass breaking. 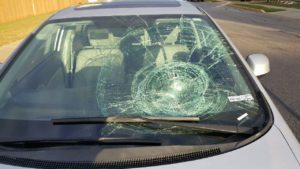 2018 has already had it’s share of hail storms breaking car windows and windshields throughout Texas and the US. 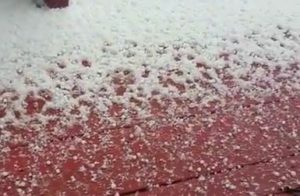 This year is no different from any other, Hail Storms are always a potential threat -and a costly one at that! Mobile Glass is here to help! From avoidance to replacement and everything in between, Mobile Glass has tips and tricks to help you deal with Hail Storms. The most important thing to remember with auto glass and hail is AVOIDANCE. Spring Travel Destinations: Try to avoid areas that are known for hail activity, especially during the spring season. Texas, Colorado, & Oklahoma are 3 States the definitely come to mind. While South by Southwest is always a good time, you might want to fly into Austin, Tx vs driving. Traveling further south in Texas like South Padre Island is a much safer bet, but to get there you’ll have to travel through some more hail prone areas like North & Central Texas. “What if this storm produces hail?” or “What if I get stuck driving in a hail storm?” Then work out multiple solutions from avoidance to preparedness -like reading this! Escape Route: Plan your escape! Nearby coverage is a glass saver. You might not be able to park under or drive under cover, but if hail strikes; can you get under cover fast? Think things through and have a plan to escape to emergency cover. Weather Forecast: Listening to the weather reports is a great way to stay informed. Keep in mind the weather reports are correct just slightly more often than they are wrong. Hail Storms are almost always part of a severe storm. Pay more attention to the hourly reports vs 10 day weather reports. Also keep your phone weather alerts on, these last minute warnings can be real glass savers! Route & Traffic: If you know a storm is imminent and must travel, maybe for work or something important, plan your route and pay attention to the traffic reports. It might be wise to avoid the tollways/expressways and take smaller highways or side streets. The smaller roads can allow for easier ways to evade hail damage. Driving past gas stations and banks every few blocks gives you almost constant access to emergency cover. Public Parking: When you’re forced to used public parking keep in mind your escape route and parking location. Maybe choose to park under a tree or near the exit. Yes even a tree can offer some emergency cover which can save you from a damaged windshield or back glass. At Home: One word; GARAGE. Yeah that garage you have isn’t just for hording the useless junk you’ve refused to let go of, it’s for your car! Time to tidy up and give that space back to it’s rightful owner. If you don’t have a garage or carport try to pick a spot under a tree -the larger the better. Now that could come back to bite you if the storm produces winds that cause branches to fall onto your car, but it’s a risk you might want to take. At Work: Same idea as at home. Try to find a spot under cover, even trees will work. Or if it’s an option carpool. Shopping: If it can wait let it. If it can’t choose stores with covered parking. Vacation/Travel/Hotels: Remember most hotels have a covered entryway. First come, first served. Pay attention to the weather reports and play it safe parking under the covered area before anyone else has a chance. 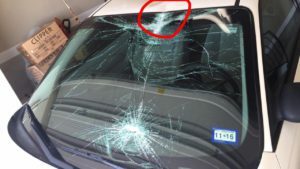 Overpass: When stuck on the road and hail strikes pulling over under an overpass can be a quick and easy solution to avoid glass damage to your vehicle. Gas Stations: Every gas station I’ve ever seen has cover so use this to your advantage. When driving stick to roads with easy access to gas stations. Banks: Bank drive up windows also have coverage. If you don’t bank there you won’t be welcome, unless after-hours. I would rather get into a little trouble parking under cover at a bank I’m not a customer of vs having all my car windows smashed by hail. Parking Garage: As long as you’re not on the top level a parking garage is an excellent safe place for your car during a hail storm. If you don’t want to park you can just drive around a bit, most storms pass within minutes. Towels & Blankets or Rugs: No cover? Anything you can find to provide cushion for the hail upon impact can help save your windshield. My first pick is a rug. Flip the rug upsidedown and place it gently on your windshield or back glass. Use your windshield wiper to hold it down when possible. Additionally, heavy towels or blankets can be helpful. 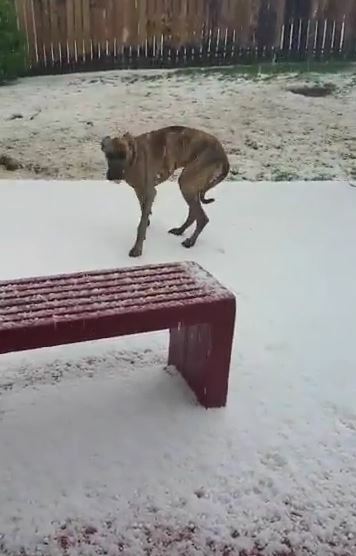 Don’t forget those old moving blankets! Packing Materials: In addition to moving materials, packing materials can help too. Have a large roll of bubble wrap in your closet, storage area or garage? Place the bubble wrap or even pieces of foam over your car’s glass and hold it down with those blankets or towels we talked about earlier. Wood/Plastic Tote Lids: Last but not least is stealing all your plastic tote lids to place over your windshield. Again they’ll blow away to so try to hold them down with an old rug or blanket. All this is useless if the winds are too high, we know. What If Your Windshield Is Broken by Hail? 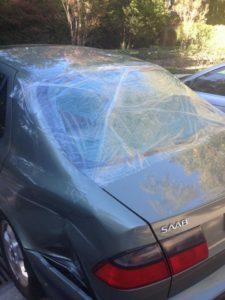 What if you need Auto Glass Replacement After A Hail Storm? We wrote a blog for you! In it we cover everything from pricing to picking the right company and how and why auto glass replacement changes after a hail storm. So click the link and check it out.